Online gambling providers have adopted a wide range of reliable and easy-to-use payment methods, allowing players to transfer funds to and from their casino accounts. One of the oldest methods to boost one’s casino balance is, without question, the wire transfer. Wire transfers pose as a secure payment method but their great popularity among players is mainly attributed to the fact there is no limit on the amount of money one can send or receive. But more importantly, wire transfers are accepted by all reputable gambling operators in the industry. In general terms, a wire transfer involves moving money from one bank account to another or, in this case, from the player’s account to that of the online casino. Typically, it is banking institutions that perform the transfers, but there are a number of money transfer companies, such as Western Union, which also perform such transactions. It is important to point out a registration is required to send an online wire transfer via Western Union. Of course, visiting your local Western Union office in person is also an option. To complete a wire transfer, players are required to know several important pieces of information. These include their own bank account number and routing number as well as the casino’s IBAN code. To obtain their routing number, players will need to contact their banking institution. 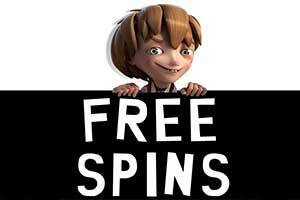 Players are also required to provide a SWIFT code in order to receive their winnings via a wire transfer. Additionally, one must ensure their banking institution allows incoming and outgoing international wire transfers. It is advisable to have all the information you need (your bank account number, routing number, etc.) readily available prior to showing up at a Western Union office to make a deposit via a wire transfer. The wire transfer itself may sometimes take a longer time to complete as both account holders, that is the online casino and the player, need to be verified. The same applies to the amount of money that is to be transferred. Two types of wire transfers can be distinguished, namely domestic and international. The fees and the delivery time vary for each of the two types. In general, when players send an international wire transfer to a casino operator that is based outside their country of residence, they might incur higher fees for the international transaction. 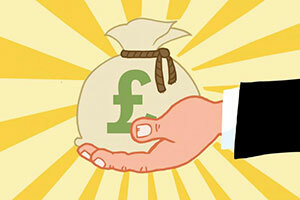 Using wire transfers to fund your casino account is pretty straightforward. To make a deposit with a wire transfer, players must get in touch with a representative of the online casino they have registered with. 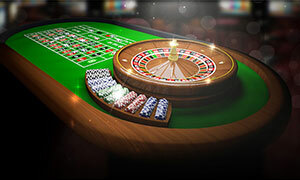 The casino representative will provide all the necessary information the player needs to give their bank in order to initiate the transfer. Then, the player should contact their bank to let them know they want to make a wire transfer and provide the necessary details on where the money is to be deposited. 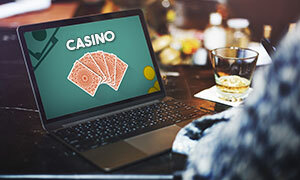 Once the wire transfer has been initiated, the player should contact the casino representatives again to let them know the wire has been sent. 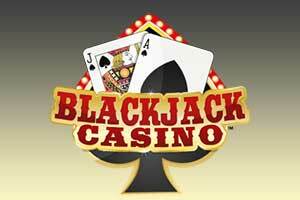 The player also needs to provide information regarding their casino username and the amount of money that is to be transferred. 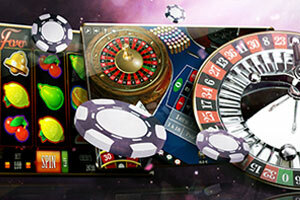 The money will be credited to the player’s casino account as soon as the casino receives a confirmation of the transfer. In some online casinos, wire transfers are accepted only as a means to deposit funds. 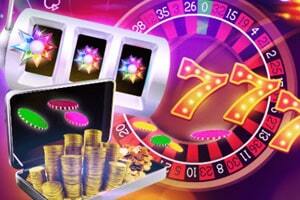 Nevertheless, many web-based gambling operators allow players to cash out their winnings using this method. The procedure is relatively the same as depositing via wire transfers since players need to provide the casino with some banking and personal information (their name, account number and bank account number) in order to request the withdrawal. 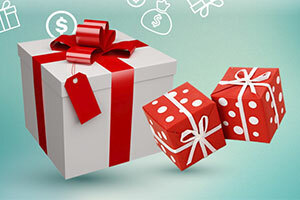 When using a standard wire transfer to cash out, players usually receive their winnings after several business days. It is important to bear in mind both the receiving and the sending banking institutions might charge set fees for processing the wire transfer. As wire transfers involve moving funds from one bank account to another, the fees associated with the transfer vary depending on the casinos and the financial institutions which initiate the transactions. Players, who wish to make a wire transfer deposit to a gambling provider based outside their country might incur higher fees for the transaction. It is important to mention in many cases both depositing and withdrawing funds with wire transfers to and from online casinos involve a fee. It would be wise to contact your banking institution and a representative of your online casino for more comprehensive information regarding the fees associated with wire transfers. Many players opt for using wire transfers as a means to deposit or withdraw funds from their casino accounts because this method is quite safe to use. Players can feel safe in the knowledge they are dealing with their own banking institution or a reliable money transfer company like the aforementioned Western Union. Additionally, licensed and respected online casino operators take the necessary safety measures and precautions to protect their players’ financial transactions and prevent misappropriations and other fraudulent activities. All established gambling providers use special encryptions to obstruct third-parties from gaining information regarding players’ transactions. Wire transfers are largely considered the most suitable payment option for high-rollers, who wish to make more substantial wagers. The reason is that financial institutions usually do not impose limits on the amounts that are sent or received with wire transfers. Another advantage of using wire transfers results from the fact most, if not all, established online gambling operators accept them as a method of payment. 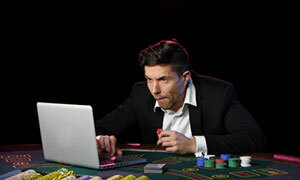 Online casinos are happy to accept wire transfers as the latter eliminate the possibility of credit card chargebacks and disputes. Besides, wire transfers, being one of the oldest methods to exchange funds, are guaranteed to work seamlessly. 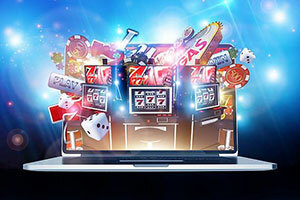 What further adds to the players’ convenience is the fact wire transfers can often be used to deposit and withdraw funds to and from their online casino accounts. In comparison, some of the other payment methods available can be used for deposits only. Finally, when using wire transfers, players can send the money in their currency of choice. Although wire transfers are quite secure and straightforward to use, they have several disadvantages players need to be familiar with. For example, bank wire transfers may not be processed as quickly for some players due to the banking regulations in given countries. Speaking of processing times, sometimes players can wait from several hours to several days until their transfers go through, which, needless to say, can be viewed as an inconvenience. After the money has been sent, players still need to wait for their gambling operator to get a verification from their own bank. Besides, chargebacks are virtually impossible once the wire transfer has gone through. Last but not least, many players deem wire transfers way too costly. Unlike online payment processors which charge a given percentage of the deposited sum to carry out the transaction, wire transfers often involve a flat fee. Of course, this works to the advantage of high-rollers only, who deposit much bigger amounts in their online casino accounts. Wire transfers were among the first methods players could use to process money to and from their online casino accounts. In addition, wire transfers are highly regarded by gambling enthusiasts for their safety – a fact which remains true to this day. 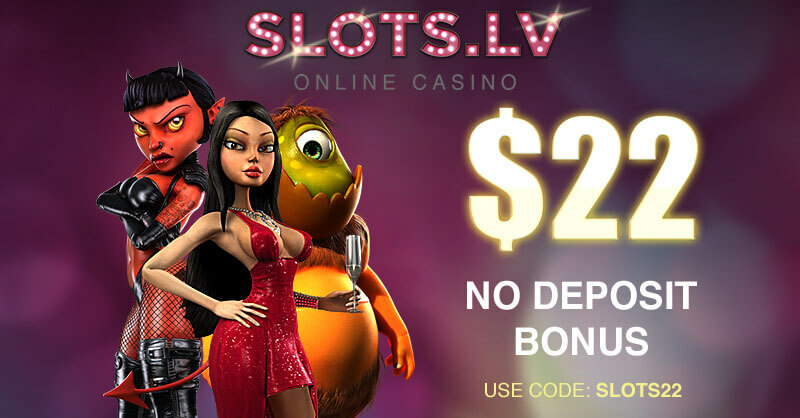 However, prior to opting for this method, players need to make sure their online casino of choice accepts wire transfers both as a deposit and withdrawal method. Due to the flat fees associated with this payment solution, wire transfers are more suitable for high-rollers. One of the most preferred payment methods among online casino players, wire transfers are an excellent way to deposit funds. This is a service that I have utilised many times, due to the fact that it allows you to make both deposits and withdrawals. I have never been put off by the high costs, as in my opinion, this is the best method out there. The money usually takes some time to arrive. Most casinos state that it is between 3-5 business days, though usually, it appears in my casino balance by the second day. This may vary from bank to bank though. Withdrawals are also dealt out in a similar fashion. If you do not like to deal with third party online service then do what I do and use wire transfers. This payment method is, in my opinion, the safest one out there and the chance for error is almost null. However, transaction times take much longer than the instant payments of eWallets, with a transfer taking anywhere between several hours or days to clear. This is, of course, dependant on your bank and the casino in question. Wire transfers are significantly more expensive than your average online service, so this method is more suited for high rollers who play with large sums of money. Overall, this is an excellent way to deposit money if you are willing to endure higher fees and wait times for security. If you do not wish to use an online payment service then wire transfers are just for you. This payment method lets you make unlimited deposits and withdrawals by physically walking into a bank and issuing the payment. This method, however, is slower than others, with transaction requiring several hours or business days to be completed. 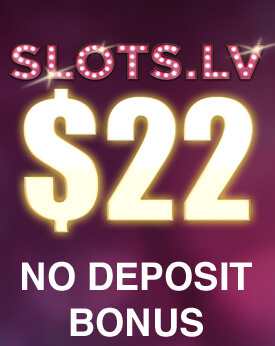 In return, however, you get to enjoy higher security and there is no middleman, as the money is sent directly from your bank account to that of the casino. On a negative note, you can expect to pay higher service charges. This method is preferred more by high rollers than the average player, but both kinds can certainly benefit from it. Wire Transfers are one of the best methods to fund your online casino's account. Secure and available at any online casino, this method allows you to send money from your local bank’s branch or any other licensed financial institution such as Western Union. Transaction times can generally take up to several business days to clear. The best thing about this method is that you can make both deposits and withdrawals whenever you wish. There is also no limit as to how much you can transact at a time. However, you may be required to pay higher fees than you normally would when depositing with other services.